Ironically, I was first introduced to Lyle Lovett by my country music-hating brother-in-law, Dana. Because Lyle Lovett is many things, but he is most certainly a country music singer-songwriter. However, as anybody familiar with his work knows, he is equally adept at blues, jazz and gospel. The truth is, he has established such a distinctive sound that he’s essentially a genre unto himself. 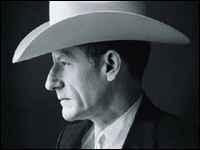 “Lyle Lovett” means peerless musicianship, lyrics both poignant and clever and one of the best voices in the business. My favorite Lovett album is The Road to Ensenada, but I first got to know him through And His Large Band… and Joshua Judges Ruth, the latter of which was just out in stores when I first started listening to him. Those two albums will always hold a very special place for me, especially Judges, which is yet another album that drops me back in the summer of ’92 when I first met Alex. But today’s song comes from another classic Lovett album, Pontiac. I picked it because it is very much a country song, and it’s one of the best things he’s written. As a former country music hater myself, I feel somewhat liberated now that I can fully embrace the genre. Songs like this one are the reason why. Come on, Dana, join the dark side! This entry was posted in song of the day and tagged If I Had a Boat, Lyle Lovett, Pontiac. Sitting on my desk at school is a little lego man sitting on a little lego pony sitting on a little lego boat. I look at it, and all is right in the world. This song is the only reason I would ever want to own a boat – just to name it “Me Upon My Pony.” I’ve declared often that Lyle is my desert island artist, and this song is certainly one of the many reasons why he has cemented his place of honor on my island 🙂 And look at that hair!! It alone deserves a blog entry. Nice song, I’m not a big fan of his but I enjoy some of his music and still marvel that he was once married to Julia Roberts. Oh well, she must have loved his hair. Glad I could introduce you to Lyle, though I didn’t know it would turn you into such a country music lover! As for me, I was introduced to Lyle through my cousin Rita. Her music cred was first establushed with me when I was about 12 years old and she said i really needed to check out a relatively new piano artist named Billy Joel’s albums Piano Man and The Stranger. Piano Man had a bit of country sprinkled throughout here and there, including the Travelin’ Prayer, Billy The Kid and You’re My Home. But I loved it still, because the excellent songwriting was obvious even with the country tint. I later bought Songs in the Attic and enjoyed immensely songs like Billy the Kid and You’re My Home sans the overt twangs of the slide guitar. And, as with our many discussions about romantic comedies and comedies in film, it is probably ultimately the “plus” that makes the difference. I hear and appreciate that “plus” in newer artists like Lucinda Williams and Mary Chapin Carpenter. But I NEED that plus wen it comes to country because, on its own, its just not a genre to which I gravitate. If I Had Boat is a wonderful song—a classic–it is, to me, country “plus.” The plus is found in the lyrics, in the guitar, in the rhythm of the guitar. Is it my favorite Lyle song? No. That honor would go to any one of his fabulous jazz and blues songs from Acceptable Level of Ecstacy to Good Intentions to Her First Mistake. But, still, Boat is a great song…and yes, a great country song.